Video of When will Digital Night Vision Catch Up? We all know that Sony’s a7S line has been the choice for shooting at night, but is it comparable to analog night vision goggles? T.REX ARMS, a firearms accessory company, gives a comprehensive explanation of how an image intensifier tube works. I never knew the history of this, and I’m stunned that digital sensors haven’t made their way into the military in this way. Shining infrared light onto the subject and then seeing that light through the camera is a reliable method. Fortunately, the latest generation of analog tubes allow for similar capabilities without needing the infrared light, like the Armasight PVS14 GEN 3 used here. 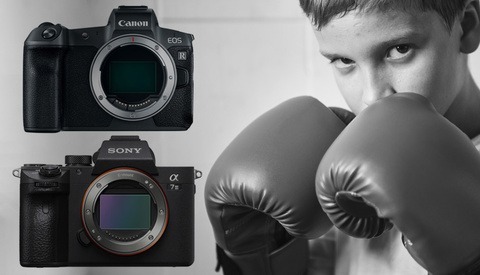 Isaac Botkin makes a great case for digital sensors here. 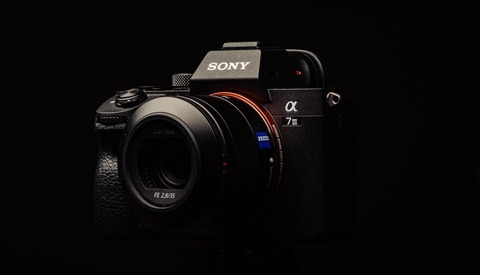 He’s modified a Sony a7S II by removing the IR filter. The more light, the better, even if it’s infrared. He’s also using a Sony 50mm f/1.8 lens. You might complain that this doesn’t match up to the 26mm f/1.2 lens on the Armasight monocular, but the camera is using a full-frame sensor. As a result, it might not be such a different field of view. One reason that we aren’t seeing Sony mirrorless cameras mounted to helmets is that they’re far too big. We’ve seen a GoPro-sized low-light camera earlier this year from SiOnyx, and it leaves a lot to be desired. I’m sure there’s a time delay to be accounted for too. Nonetheless, it puts into perspective the incredible engineering achievements for the military and the limitations of our current camera tech. Has anybody got experience with both sides of the tech here? You might want to fix your first sentence. "We all know that Sony’s has a7S line has been..."
I film through both the A7s with a f/0.95 lens, and the same L3 WP intensifier tube he also has in his pvs-14. Feel free to ask any questions. I think the major difference when using actual night vision, is that people recognize it as such, and understand that it's at night. with the a7s, people get confused since it's in color, and just assume it's day, or dusk footage. It is really dependent on what you need to film. to answer your question, yes. wore them often during night sorties and SAR exfiltrations in a previous life with the USAF, amongst R&D experience i'm not inclined to talk about.